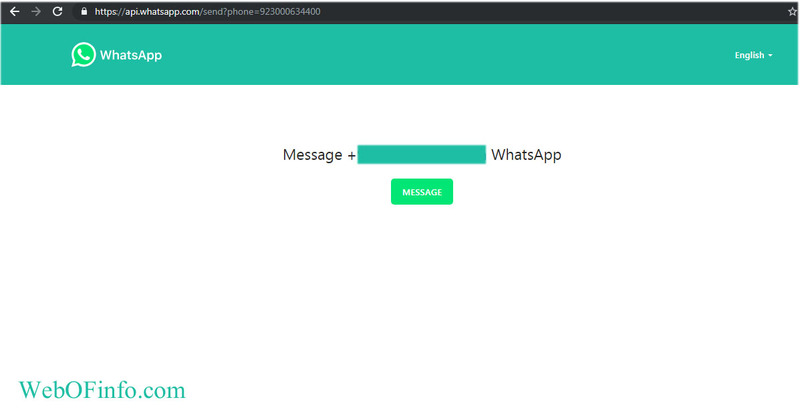 Today we will discuss Tricky Ways to Send WhatsApp Message without Saving Contact Number WhatsApp is used to exchange Pictures, Video content but it is also now used for business purpose. That’s why WhatsApp has launched its Business version for users by the name of “WhatsApp Business” Most of use WhatsApp to share files to customers or clients. Most of them or used for one time so people don’t want to save that number and want to send text. It's irritating to save a lot of numbers. So here is a solution now send text, media to your friends or business clients without saving their mobile numbers in your mobile phone. Yes, it is possible now. I am going to share only 2 easy ways, everyone can easily use them. +61 is country code and 1234567 is an example of the remaining phone number. You don’t have a need to enter special character like + just select country code and after that enter your routine or normal number. After that type your message and attach media file (if you want) then press send button. 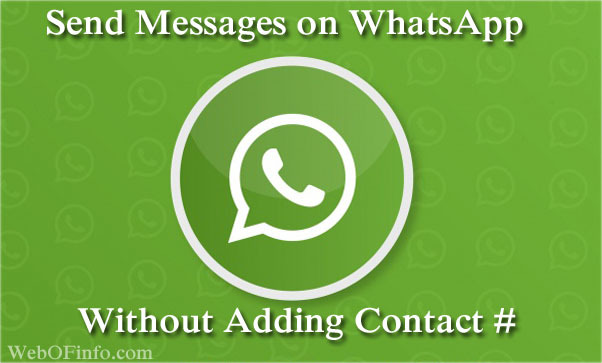 If the receiver’s mobile number is registered on WhatsApp then your message will be sent to requisite number. Now you have sent your message without saving contact number on your mobile phone. It's very simple and easy it is very helpful for me in my daily routine. Hope you will also enjoy it. This App support Text format as well as media files too. That is a super bonus function. 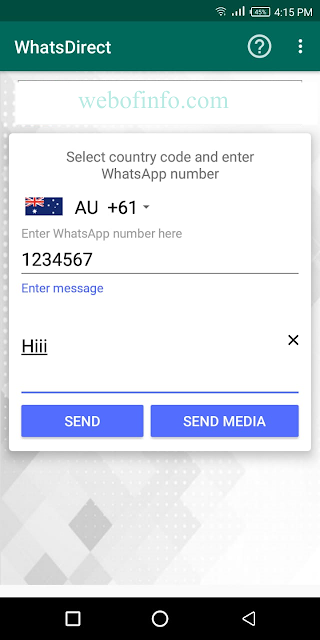 Now put the mobile number in place of “xxxxxx” Erase number and type the receiver’s mobile number with country code. NOTE: You can bookmark this page or link in your browser when you need this trick open your browser and go to your bookmark bar and select this page and click on the link after adding the number simple.